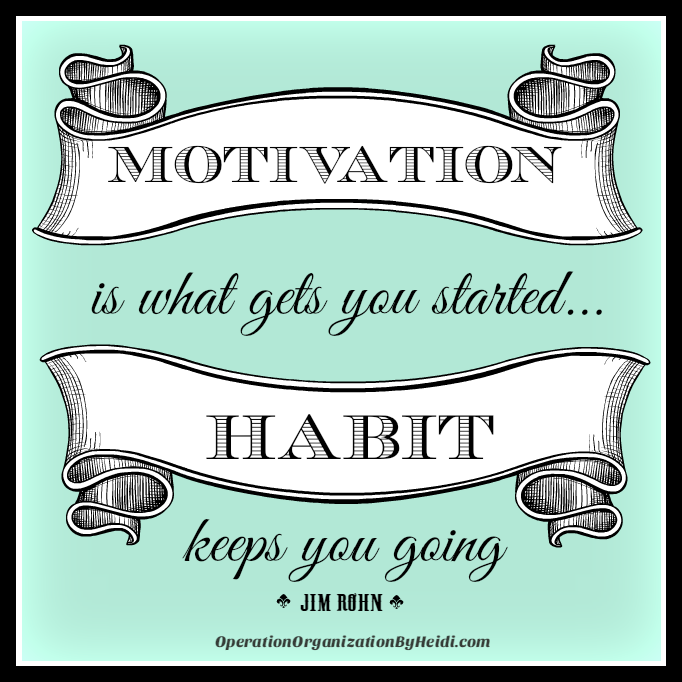 I've also identified that the path to 'HOW' to achieve the goal of getting organized appears through a series of SYTEMS, ROUTINES, and HABITS. "We are what we reapeatedly do. 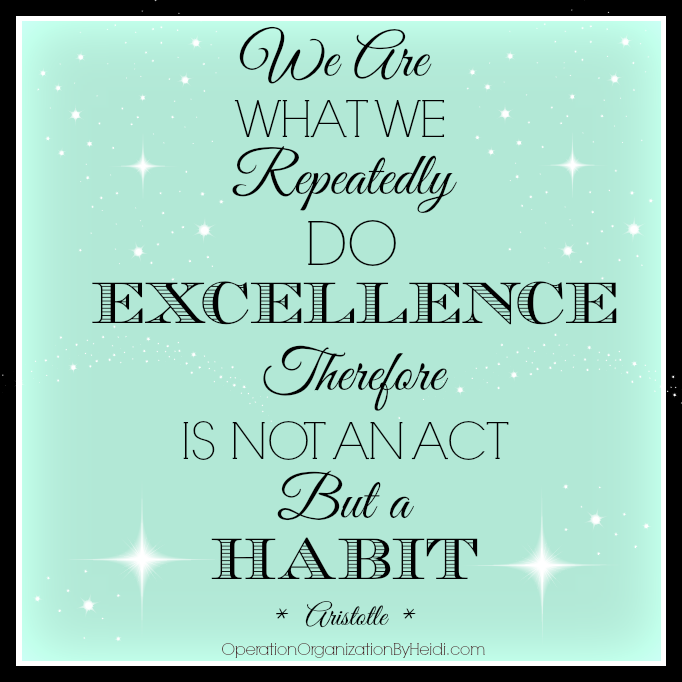 Excellence, therfore, is not an act, but a habit." To have self - discipline is to TRAIN oneself to do something in a controlled and habitiual way. Achieving any goal in life is not always an easy or inspiring process. It's realizing that even the smallest steps forward are what's most important. And, understanding that progress a little at a time is more likely to add up to LASTING change rather than big dramatic steps ever will. Repeated ACTS of disciplined CHOICES lead to HABITS that will produce the fruits of an organized and peaceful life that you've been craving. 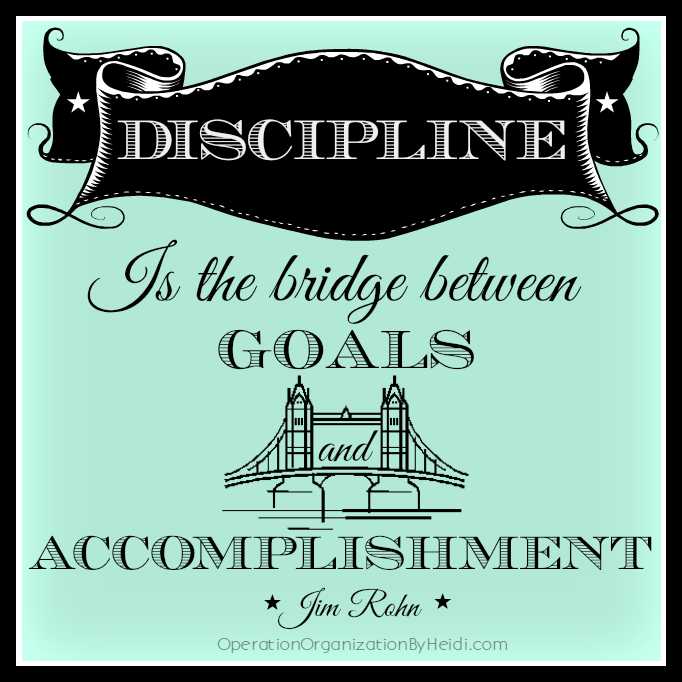 Look for more thoughts on Devoloping Discipline here on the Operation Organization by Heidi Blog Soon! !